Hallelujah! On Tuesday I received my very first dividend payment! From McDonald’s no less! Since I’m pretty excited about that, I’ll allow myself a one time use of a gif on this blog. Are you ready? Here it comes. If someone told me one year ago that one day McDonald’s would write me a cheque, I would have burst into laughter – sweet maniacal laughter, that is. If the same person then told me that McDonald’s would pay me enough to buy a juicy BigMac I would probably have offered him a train ticket to the nearest lunatic asylum. Boy, was 24-year-old me foolish and stupid. That’s a total of 11.34 dollars in dividends! Well, not really. A tax bonanza reduced the actual amount to $7.08 or €5.45, which is still a nice amount of money for doing nothing at all. I’ll take a free BigMac anyday! Recently I wrote about how dividend investing cancels out my impatience in building my net worth. Let me tell you, receiving those first dividends from McDonald’s felt like a major victory, mostly against myself. The downside? Now I can’t wait for the next dividends to roll in. In about a week French Big Oil company Total should wire a hefty sum of dividends to my account. A few short days later it’s Coca-Cola’s turn. Then General Electric. You can see why I like dividend growth investing so much. What’s not to love about having all these great companies working so hard to increase my income? Since I’m so happy about my first dividend income, I can’t help but think you guys also must have been extatic when your first dividend payment hit your account. To the comments, now! How did you feel about receiving a dividend for the first time? Thanks, Nicola! I hope so! Just found out that MCD announced a 5% dividend increase to 0.85 cents, so it sure does look that way. Congrats on receiving your first dividend income. That picture of Ronald McDonald is just freaky. I never understand why he’s the “face” of McDonald’s. Thanks for the support Tawcan! I’ll get right on building my portfolio. I have been looking at MCD for quite a while. I have been looking for a good entrance price, but I might just let it rip and get some soon. Great job! I think MCD is still at a nice entry price. The stock is up this week, but the market is still rather negative about MCD because of the troubles in China and unhealthy image. I’m sure MCD can turn the tide. Should be a solid investment in the long run! Yes, I don’t think MCD is going to have too many problems working through the current funk. I really like the tea and the side salads. I also enjoyed a ceasar wrap that my son talked me into a few months back. It was really good when it was eaten as it was served, but the one we took home was not quite as good after it sat for a while. Quick question. SO, the taxes come out as the dividend payments are made? Yep! The US keeps 15% immediately, then Belgian domiciled banks are obliged to take another 25% and direct that money to the Belgian treasury. There’s no way to regain that money, unless you’re unemployed. Wow! So the money from dividends is taxed as you get it. That is really different from what we have set up here. Any way around such as retirement acccounts? I can’t get the dividend taxes out of my head. Wow! So they scarf out about 40% of the payout with no risk on there part. Hopefully, there are some real perks for you in the system. How is healthcare over there? The dividends are indeed immediately taxed. It has been that way for as long as I can remember. The same goes for bonds or other fixed income. We have only one retirement account in Belgium that provides a tax brake (30% up front tax break up to €950 every year), but only certain mutual funds qualify. There’s no US or Canada-style retirement account at all. 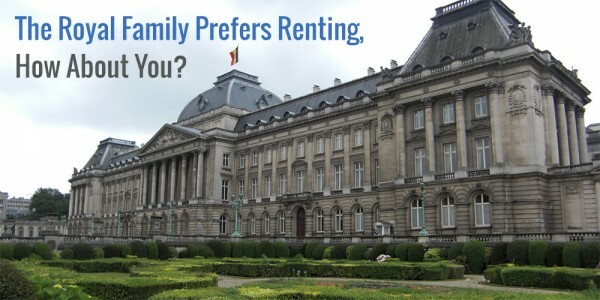 The upside to investing in Belgium is that there’s no capital gains tax – yet. I’ve said before that we pay a boatload of taxes over here (highest in the world), but we get a lot of healthcare and social security services in return. Education and health insurance is practically free too. Congrats on the first dividends. The first flocks of the snowball are gathered. I still remember my first dividend payment I received it was around 526 EUR. It was an incredible yield for more then 10% on investment. I bought the shares at 0.57 EUR and I got a net dividend from 0.06 EUR in 2009. I took a bet on fortis at the peak of the Fortiscrisis and it certainly paid off. I saw you started writing in English! Excellent! Don’t eat too much MCD though, Steve! It’s not like MCD provides you a healthy and balanced meal. Congrats! The first is always the best! But after that, you’re going to be awash in dividends. I forgot what my first dividend payment was, I should go back and loook haha. Just read on your blog that you think your first dividend payment is AT&T. Great company to own too! Wow this is exciting and I’m not even the one getting the dividend! So happy for you. But omg that tax is disgusting, can you get the US tax back? It is! Can’t wait for the next dividend to roll in! The US tax is already reduced from 30 to 15%. There’s no way to get the remaining 15% back. On top of that there’s the Belgian tax at 25%. All in all I’m losing about 36% to taxes, which I knew before getting into the game. No capital gains taxes in Belgium though! Why isn’t everyone like the UK? No withholding taxes! I’d really double-check on that. I live in Germany, and there’s a double-tax-agreement with most major countries in the world. Because of this, the tax to be paid in Germany is reduced by the amount already paid to the foreign country (15% in the US, for example). Actually, it’s a little more complex than that, but the computational result is the same. Isn’t there such an agreement between Belgium and the USA? Belgium also has a double taxation agreement with most major countries (except a proper one with Germany). For the US the agreement provides a cut from 30 to 15% on the US withholding tax. On top of that Belgium taxes another 25%. There’s no way to not pay the 25%. In the end taxes on dividends for me are: 25% for Belgium and the UK; 15% + 25% for the US, France, Switzerland, Netherlands; and 26% + 25% for Germany. The system in Belgium isn’t good at all. I’d rather have the Dutch or even German way of taxing dividends, but you can’t have it all of course. I just wish the European Commission stepped in to provide a level-playing field for all EU citizens. Taxation between EU member countries doesn’t make any sense and is harmful for the free movement. Luckily a French ruling recently overthrew the double taxation agreement between Belgium and France and ordered the French state to pay back all the withheld taxes on Total dividends to one individual. So at least it seems to go in the right direction. I’d take a few over nothing anyday of the week! 🙂 The fun thing about dividends indeed is that you get the feeling your money is actually doing all the work for you. Congrats NMW. Who doesn’t like a Big Mac and a hefty dividend. Don’t you worry. One year ago I hardly knew anything too. Just go to your local library, pick up some books on investing, follow some personal finance bloggers online, and you’ll be investing in no time! Thanks for stopping by. Love your blog’s name, I’ll definitely check it out. I’m actually pretty jealous. 😉 My wife and I have been investing for about a year, but we’ve been throwing everything we have into low-price index funds (kind of the opposite of dividend investing, frankly). 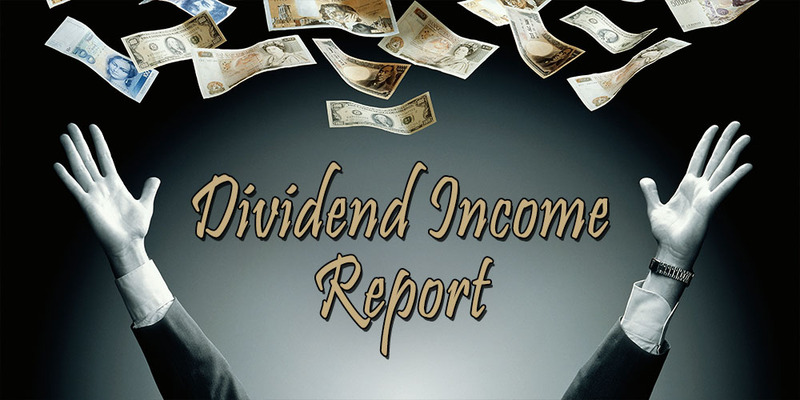 In the last month or so, I’ve been buying up some individual dividend companies after being inspired by the dividend blogosphere. I’m still waiting on that first dividend paycheck! Congrats on getting yours! Thank you! It seems we had a similar start and both switched to dividend growth investing somewhere down the line. Just like you I’ve also been inspired by so many different dividend investors. I really like the strategy. If you bought quarterly paying companies that first dividend cheque should be coming anyday now, don’t you worry! I hope to read about it soon on your blog. Nice job Waffles. 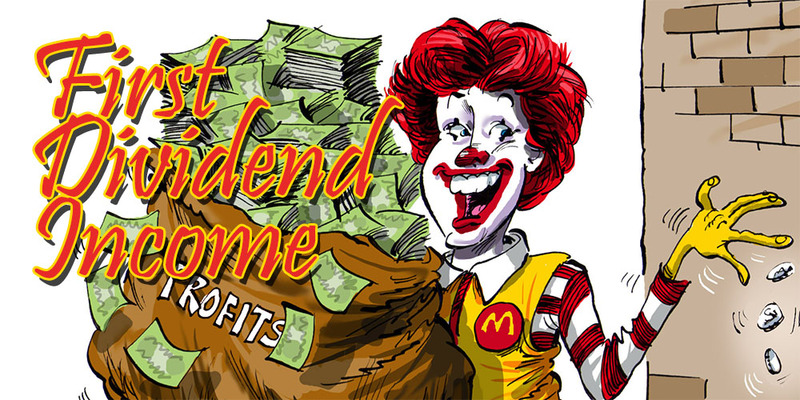 I am going to start a dividend portfolio soon and Mcdonalds is one of my top picks. Thanks! Just had a quick look at your net worth and it seems you’re well on your way to building massive wealth already, great job! Dividend growth investing will only increase your progress. PS: I can’t seem to comment on your own posts because I don’t have a Blogger account? Hehe 😉 MCD is such a great stock to start your portfolio, especially with the recent dividend increase of 5%, that will give us 3,6% yield. I own a pile of them myself and I’m thinking of adding to it now with the new yield. Amazing! I have no investments but after reading this (via dividend mantra) I’m thinking of starting. How exciting! So help me out… 14 shares of McDonalds at around $95/share = $1,330. 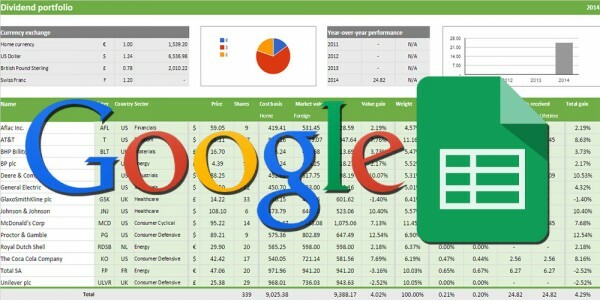 Do you pay your broker by the month or does he get a percentage of everything you earn? I’m a newb! 🙂 thanks! Great that both DM and I inspired you to start investing. Definitely go for it, because it opens up a whole new world of possibilities! 14 shares of McDonald’s is indeed about $1,300, or €1,000 in my case. I try to invest about €1,000 in every position since that makes the transaction costs of the purchases about 1%, which is still manageable. For US shares I pay $15 of transaction costs! Haha, no one can replicate the one and only personal finance gif blog you have! It always feels like Christmas Day when when you get a stock’s dividend payout, doesn’t it? There’s always a sense of anticipation before the first payout arrives and when it does, it feels so good and continues to feel good every time that payout is received. Dividend investing isn’t for the impatient and it takes time to turn that tiny trickle of money into a respectable stream, but every payout that gets reinvested grows that tiny trickle just a little bit more. Keep up the good work Waffles! Ha, that’s an accurate way of describing it! 🙂 I can’t wait to see my stream of income grow month after month until it covers my living expenses after a couple of years. Thanks for stopping by, DQ! Really liked browsing through your site too. do you reinvest the income from dividends or you “use” it like paying expenses or other things ? Even though it doesn’t matter to me where my money comes from, I always re-invest my dividends in other stocks. As you can see from my savings rate, I never have to access my dividend income to cover my living expenses. That’s awesome! I imagine it becomes a little addicting once you have several payouts to look forward to. I can’t wait to get into dividend investing in the next few years. It is addicting, Erin! Can’t wait for my Total dividend to roll in at the end of this week. I’m glad you’re looking at dividend investing for yourself. I hope you like it once you try it! Congratulation on your first dividend. 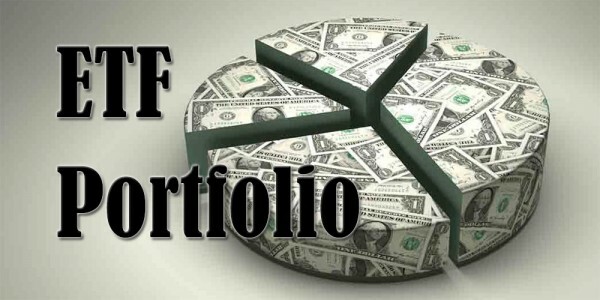 I’m starting a dividend portfolio too, my first dividend is due at the end of this month. Thanks, EurFi! Glad to see some other Europeans in the FI game! Looking forward to see the information on your blog grow. I’m jealous you still have to experience your first dividend income, such a great feeling. Are you mostly investing in EU or US stocks? Actually it is not my very first dividend. I bought my first shares years ago (before 2000). But a few weeks ago I started my dividend portfolio. Today was ex-dividend for one or two of my REITs. I will see it later, when the monthly statement is ready (beginning of October). Congrats! That GIF is a perfect summary of my reaction every time I get paid a dividend as well! I just saw you started your blog, hope you enjoy writing and keeping in touch with us. Going to check it out now! With dividend income coming in dollars (and indeed capital gains) are you concerned that currency conversion will eat away at your returns? As a fellow European I also worry about currency risk. Most bogleheads are in the US investing in dollars and don’t need to think about this. How do you deal with currency risk? It can be a risk, but it can also be an advantage. With the euro and pound being quote low at the moment, receiving money in dollars is good for me! Like Theres Value said, there’s an advantage to every disadvantage. If a currency strongly devaluates against the Euro, that means I’ll be able to buy more of a specific stock in that currency. The downside, however, is that the dividend payout after reconversion to Euros will also be lower per stock. However, this also works the opposite way: when the Dollar gains on the Euro, it’ll be more expensive to buy US stocks, but every dividend payment I receive will be much higher than before in Euros even though the Dollar amount remains the same. What I’m basically doing is buying more foreign stocks when the Euro is strong and more Euro stocks when the Euro is weak. Now, this only works when you’re still building your portfolio. I haven’t quite figured out what to do to keep the dividend fluctuations to a minimum during retirement. Also keep in mind that the US, British and European economies are strongly intertwined, so it’s unlikely that there will be large exchange rate swings over a long period of time. The Euro countries also can’t purposefully devaluate their currencies anymore, so much of the exchange rates is left up to the markets. Currency conversion won’t really eat away at my income stream because my broker doesn’t charge a surplus on the exchange rate. Hope this was useful information!